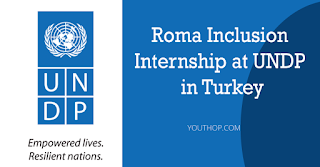 UNDP Istanbul Regional Hub (IRH) is UNDP’s main knowledge and advisory hub for the countries serviced by UNDP’s Regional Bureau for Europe and the CIS (RBEC). The Regional Centre is in charge for regional programme implementation. Through its regional programme, the IRH provides advisory support and knowledge management and innovation services to UNDP Country Offices in 22 countries and territories in Eastern Europe and the former Soviet Union, including those in Central Asia. 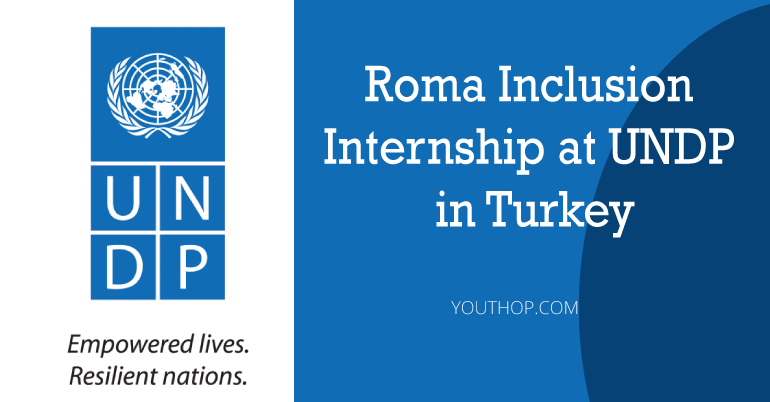 UNDP IRH is looking for a knowledgeable and dedicated intern to join the Sustainable Development Team for support in the area of Roma inclusion. Any other related tasks that are deemed necessary and appropriate to support the project work. The intern at UNDP will have an opportunity to gain work experience at the international organization, gain knowledge and skills in the field of international development, and gain experience in working in the multi-country project. The purpose of the Internship Programme is not to lead to further employment with UNDP but to complement an intern’s studies.